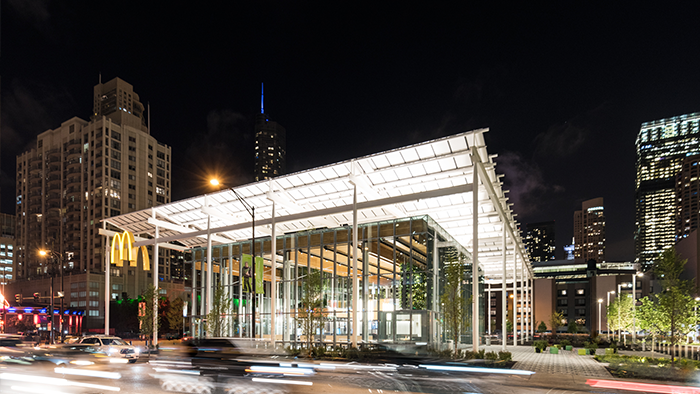 A new flagship McDonald’s eatery is now open at 600 N. Clark St. in Chicago. The Taj Mahal of McDonald’s outposts swung open its doors in Chicago Thursday and began operating 24 hours a day, seven days a week. But please do me a favor. Don’t refer to the new imposing edifice in the heart of Chicago’s River North neighborhood as the Taj Mahal.